Here at Mango, one of the things we’ve loved most about working with libraries is seeing the great events and exhibitions they put on for patrons that take Mango as inspiration. Today, we’re deriving inspiration right back from our library friends—specifically from the Pirate Day parties so many of our partners have put on. Similar to the lost treasure of the Flor de la Mar, the library houses a unique treasure trove of information just waiting to be uncovered by the most eager of explorers. Many library guests have only just scratched the surface with their local offerings and some may be inadvertently missing out on some key offerings that make your library great. Fortunately, with the right information (and maybe a red X marking the spot! ), any patron can become the modern day Book-beard! Here are three ways your patrons can strike gold and uncover some of the more arrrrr-der-utilized services your library has to offer. While your patrons might only be aware of certain services at your library, there are many services you can add to your roster to help patrons reach new levels of learning. We’re partial to Mango Languages and other interactive, mobile learning softwares that help your patrons take learning on the go (they can even learn to speak Pirate as well as we can over here!). Make sure you’re promoting the resources you have through library pamphlets and posters, your website and social media channels. There are also many organizations right in your own backyard that would be happy to help you get the word out. While patrons might be excited to use their recently learned pirating skills, renting and lending are two services that should exist well outside of maritime law. Many libraries offer an extensive collection of DVDs and Blu-rays alike, but they are often underutilized by guests. Distribute pamphlets and posters about your collections around the library and make sure that a digital copy is accessible online so patrons will know what’s available before stopping in. You might soon seen an influx of closeted movie buffs flock to your brand new selection of carefully chosen docu-films and classics like the Rocky Horror Picture Show. Kindle lending is another feature that many patrons don’t know about. Instead of using their last few dimes on their Amazon holiday gift card downloading the newest Stephen King novel, direct patrons to your library webpage where they can download books directly to their Kindle. You don’t have to stop at Pirate Day when it comes to parties, matey. There are many opportunities to throw interactive events that will allow your local community to get involved. Unfortunately, many people are unaware of how to get participate in special events and are weary on the process to sign up. Help dispel myths that libraries are out-of-touch with tech (we know it’s not true!) and promote special events on your social media channels and throughout your city. In order to help personalize your event and draw more attendees, poll your patrons on what they would be most interested in attending. Many people are all too willing to get involved in their local community and meet new faces. Throw in a concurrent event for children (and a plate of cheese and crackers) and watch your special event come to life! Uncovering treasure at your library doesn’t have to be an unsolvable quest. 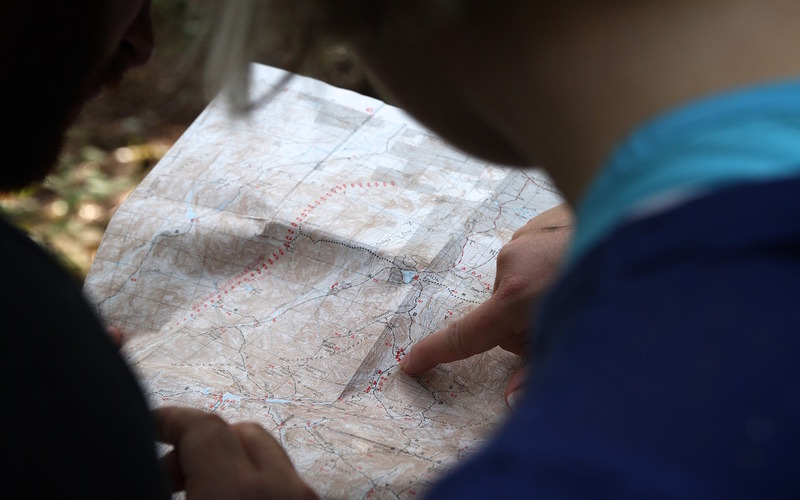 With just a little perseverance and a guiding hand, your patrons will soon have the treasure map they need to start using your resources to the fullest. Are you interested in learning insights from the top librarians in the field? Check out our white paper: Branding Your Library: Insights from Today's Top Librarians.